2014 AFCA CEO Coach of the Year - Randall Stephenson, AT&T Inc.
WACO, TEXAS – The American Football Coaches Foundation® today announced that Randall Stephenson, Chairman and Chief Executive Officer of AT&T Inc., is the 2014 recipient of its CEO Coach of the Year® Award. This is the highest honor bestowed by the organization, whose inaugural recipient in 2006 was Jeffrey R. Immelt, the CEO of General Electric. Former Domino’s Pizza CEO David Brandon, former MidAmerican Energy Holdings CEO David Sokol, former HP CEO Mark Hurd, FedEx Corp. Chairman and CEO Frederick W. Smith, BP Capital L.P. Chairman and CEO T. Boone Pickens, NFL Commissioner Roger Goodell and ExxonMobil Chairman and CEO Rex W. Tillerson received the honor in 2007, 2008, 2009, 2010, 2011, 2012 and 2013, respectively. Mr. Stephenson was selected for the award by a unanimous vote of the AFCF® Board of Directors. He will be honored at The Foundation’s CEO Coach of the Year Dinner, held at The Waldorf=Astoria® in New York, N.Y., on December 15, 2014. “Randall Stephenson is without question one of America’s top CEOs. What he has done as the leader of AT&T is obvious around the world. The AFCF and the American Football Coaches Association applauds him for that,” said Executive Director Grant Teaff. “His selection as CEO Coach of the Year was not only based on his dynamic leadership, but also his philanthropic efforts that benefit young people. America’s football coaches are proud to honor this great American." Under Mr. Stephenson's leadership, AT&T launched AT&T Aspire in 2008, a philanthropic program to help improve college/career readiness for students at risk of dropping out of high school. With a financial commitment of more than $350 million, AT&T Aspire marks the largest education initiative in the company’s history. Mr. Stephenson also has led AT&T’s breakthrough “It Can Wait” campaign, an education and awareness program encouraging people to never text while driving, which has amassed more than 5 million pledges. AT&T is a global leader in mobile Internet services and IP-based business communications solutions, with nearly $129 billion in 2013 revenues. Over the past six years, AT&T has invested more capital into the U.S. economy than any other public company – and more than $140 billion for capital and acquisitions of spectrum and wireless operations combined. 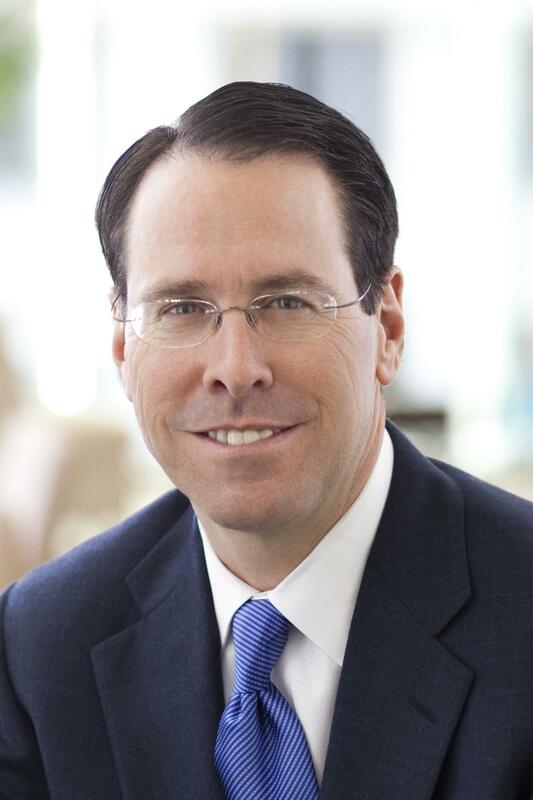 Randall Stephenson was named Chairman and CEO of AT&T Inc. in 2007. He began his career with Southwestern Bell Telephone in 1982 in Oklahoma. He served as the company’s senior executive vice president and chief financial officer from 2001 to 2004, and from 2004 to 2007, he served as the company’s chief operating officer. He was appointed to AT&T’s board of directors in 2005. Mr. Stephenson is chairman of the Business Roundtable, an association of chief executive officers of leading U.S. companies. He is also a member of the board of directors of Emerson Electric Co., a member of the PGA TOUR Policy Board, and a National Executive Member of the Boy Scouts of America. Mr. Stephenson received his B.S. in accounting from the University of Central Oklahoma and his Master of Accountancy from the University of Oklahoma. The funds raised from the CEO Coach of the Year dinner will support the AFCF’s education initiatives through the American Football Coaches Association’s publications, website and national convention. More than 6,000 football coaches from all levels attend the national convention, and more than 11,000 football coaches globally benefit through personal, technical and leadership development. Because of The Foundation, football coaches on all levels nationwide pay minimal membership dues. The AFCF, a 501 (c) (3) nonprofit organization, was established by the American Football Coaches Association in 1998 to fund its education mission. Its specific responsibility is to seek contributions from a broad range of donors – friends, businesses, corporations, foundations and trusts; to support and implement existing AFCA educational programs; and to develop exciting and dynamic new initiatives that will serve the coaches, the student-athletes, and the schools they represent. Contributions generated by The Foundation will ensure that the coaching community will continue to have the finest possible professional development and educational tools, now and in the future.